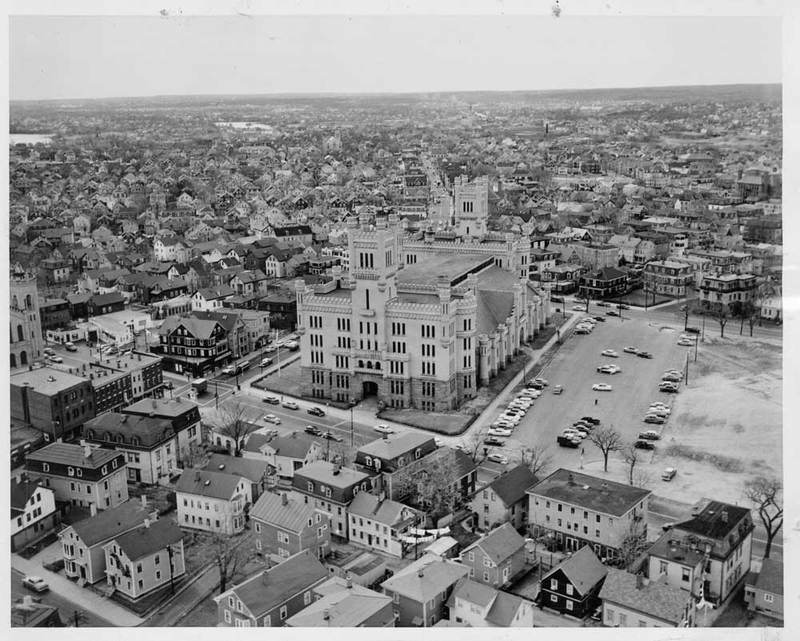 The yellow-brick, copper-crenellated Providence Armory, one of the most monumental structures in the city, anchors this historic neighborhood of wood-frame buildings and tree-lined streets. Owned by the State of Rhode Island and partially occupied by the state Fire Marshal’s Office, the vast building, over 165,000 square feet, remains predominantly vacant. 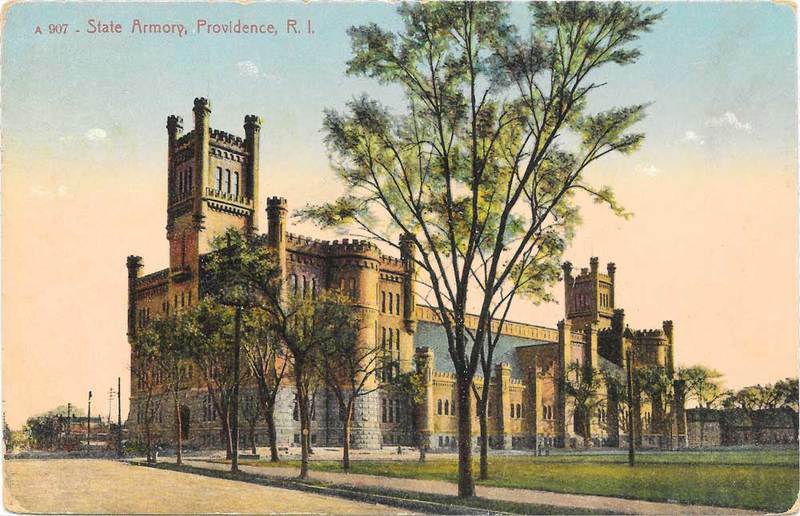 Designed by William R. Walker & Son and built between 1903 and 1907, the Armory was a fortress for the Rhode Island National Guard and a symbol of authority and social order in the roiling sea of labor unrest of the early 20th century. Military fanfare was common, but civilian demand for the space (the drill shed is almost 40,000 square feet) was immediate. The bastion of military power became host for surprising and delightful aspects of city life for close to one hundred years. Massive polio vaccination clinics, auto shows, flower shows, poultry and agricultural shows. Fundraisers and dinners and political inaugurals balls. Music shows featured high school glee clubs and national barbershop quartets. Track meets and basketball games were easily accommodated, and even the New England Patriots held football practice here. This rare and remarkable historic building struggles now to find its new purpose, longing to be the “Castle for the People” once again. 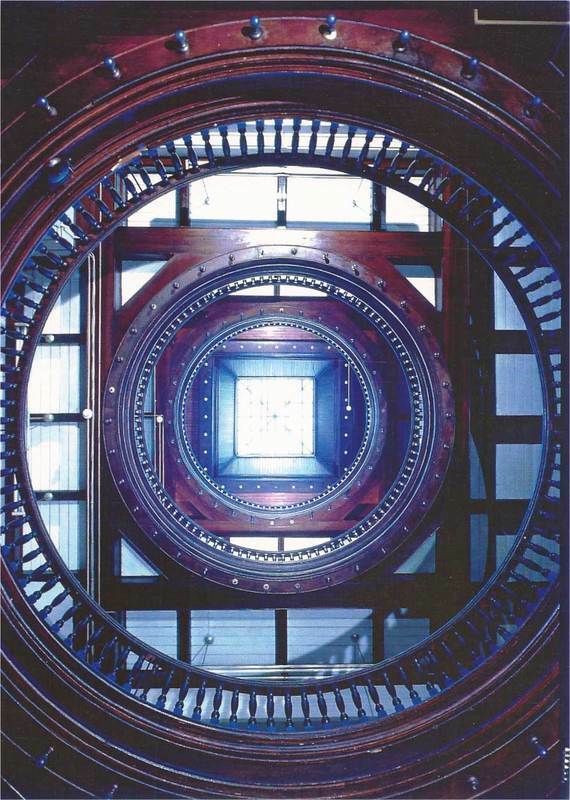 Interior of the Providence Armory: This interior view of the beautiful woodwork provides a sense of scale of the atrium in the western Head House. 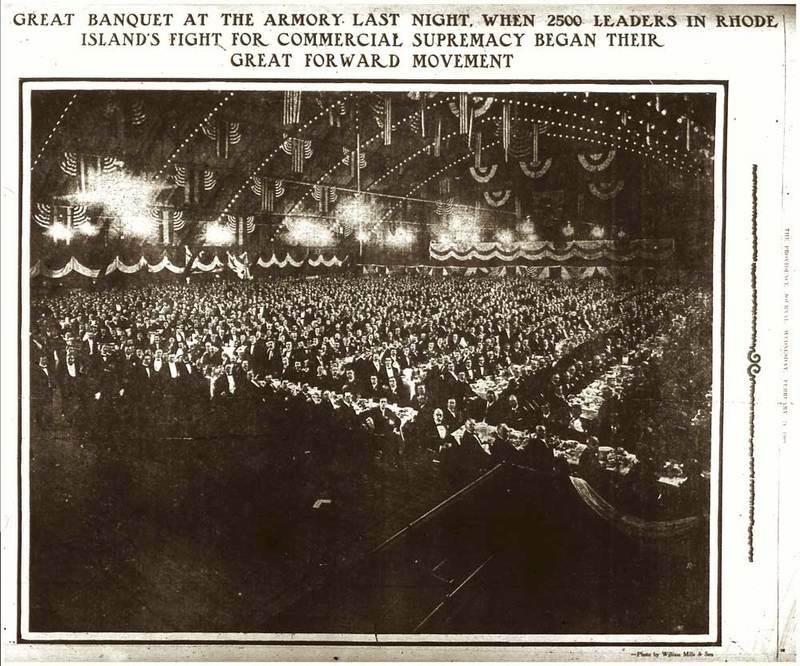 Dinner in the Providence Armory: This event, a “boom” dinner in 1909, was sponsored by the Providence Board of Trade. 2,500 attendees in white tie flooded the Armory for the occasion. ~ Source: William Mills & Son., Rhode Island Collection, Providence Public Library. 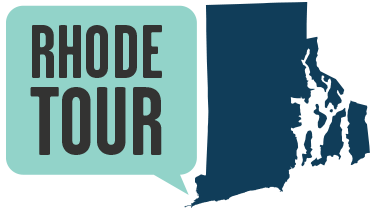 Taylor M. Polites, “Providence Armory,” Rhode Tour, accessed April 21, 2019, http://rhodetour.org/items/show/171.